There are three things Lucy Jensen always keeps in her car: jerky, dog treats and water. These are the tried-and-true lures that can entice a skittish stray animal into her car, and the first step toward finding a real home. 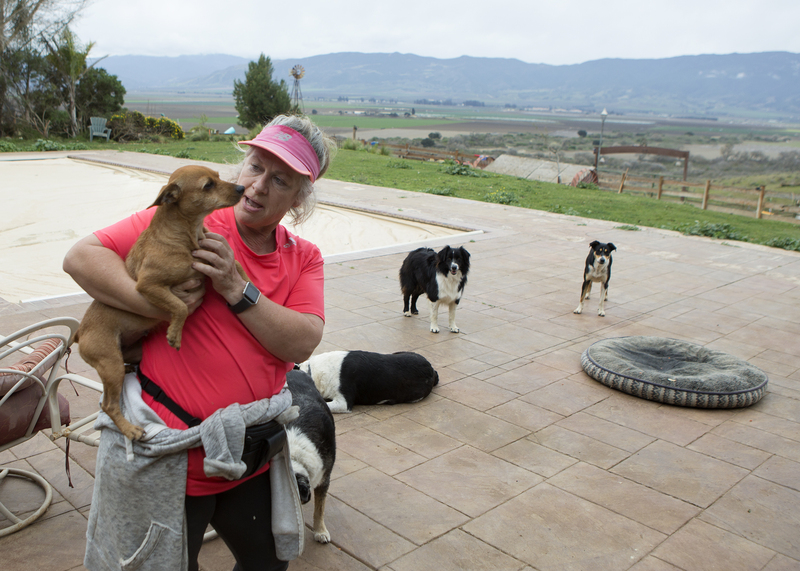 The 54-year-old Soledad resident is so passionate about pet rescue that animal control officers sometimes call her to pick up strays and not the other way around. “There’s only one guy in each city, and their plates are more than full,” she said sympathetically. 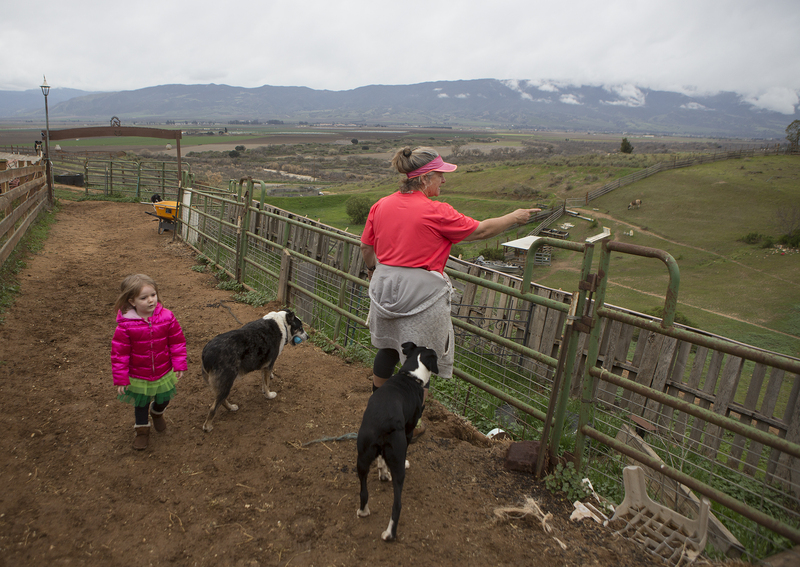 Rural areas of Monterey County are dumping grounds for all kinds of things — worn-out mattresses, old appliances, and most heartbreakingly, domestic animals. Jensen’s response? Founding a new nonprofit, South County Animal Rescue (www.scar.pet), with an all-volunteer force of about 20 that fosters pets with the goal of re-homing, reuniting with owners, or transferring to other animal organizations. SCAR’s mission includes not only reducing the homeless domestic animal population in South County, but also promoting awareness and education, and providing access to low-cost spay and neuter programs. 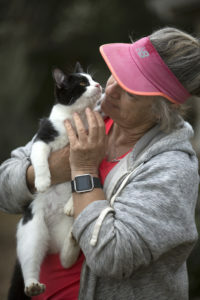 Right now, animals are fostered at volunteers’ homes, but in the next five years, Jensen says, the organization plans to build a no-kill animal shelter. Now that it has obtained official nonprofit status, SCAR is going after even bigger goals, including their own dog training programs for inmates at both Soledad and Salinas Valley state prisons, adding to the existing programs already offered at the two correctional facilities. Jensen has always loved animals, but she threw herself into the things she really wanted to do in life after recovering from breast cancer in her 40s. The British-born realtor is known well in her community not just for her animal efforts, but also as a regular presence in South County Newspapers — for which she writes a weekly column — and in several books she has self-published. She’s now working on a collection of animal stories, which she hopes to make available later this year. Q: So SCAR is now an official nonprofit? A: Yes, got our 501(c)(3) status — it was not the easiest thing in the world, but we got there. Now we’re able to do not only fundraising, but we’re also applying for grants, some for substantial sums of money. 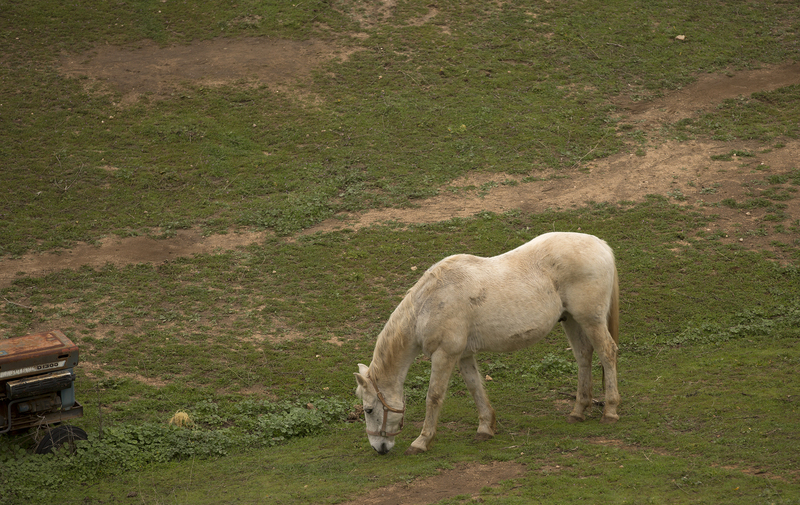 We are still holding fundraisers, though — we have one coming up on April 14 in Soledad (at Bill Ramus Park, 10 a.m.-1:30 p.m.) We’re doing a barbecue in conjunction with a low-cost vaccination clinic by Los Coches Animal Hospital. We have a lot going on for a bunch of volunteers. We have four on our board of directors, and then we have about 15 Animal Champions, that’s people who help with fundraisers and fosters. We have rescued, in just over two years, going on 260 animals. That means we have brought them back, transferred up to sister organizations or we have homed them. That’s a good number for a bunch of volunteers, and we’ve definitely made an impression in South County. 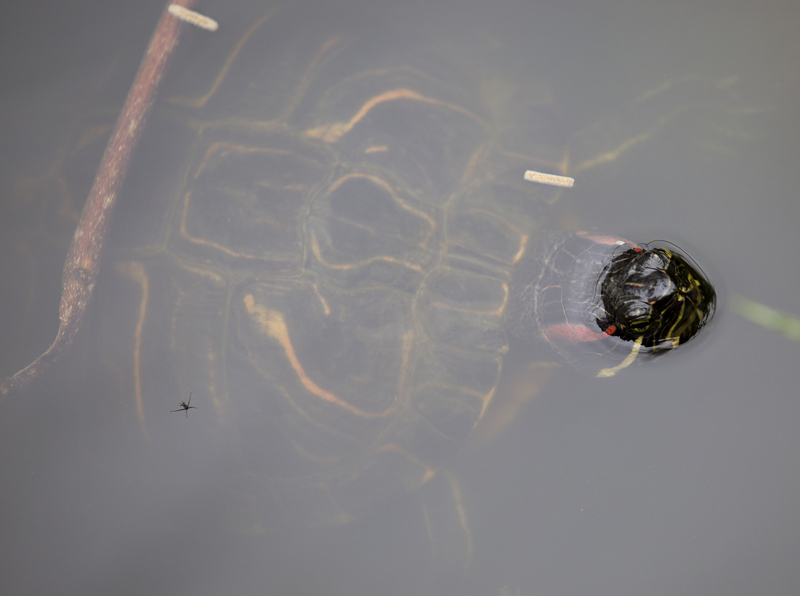 Q: What inspired you to found an animal rescue? A: I started out as a frustrated foster. I was picking up stray dogs, and I didn’t realize I was becoming an animal rescuer. I was working with AFRP in Pacific Grove, a wonderful organization, and realized there was a gap in animal rescue services down here. I heard that nine out of 10 animals from South County were being euthanized — an awful euthanasia rate. So it was a bunch of crazy animal lovers who did not like what we were seeing, and that’s what led to doing this. It used to be that you’d call the animal control officer and the officer would take the animal to a local vet. That animal would be checked for a chip, held for a couple of days, and then if nobody showed up, they’d take dog or cat to the SPCA or Monterey County Animal Services. We decided that if the owner surrenders the animal, we wouldn’t charge. That has made an impact on dumping — we tell people, don’t dump your animal, call me and I’ll come get it. Eventually we’d like to have a contract with the city (Soledad) and have a facility in South County and home animals from there. That’s our five-year goal. Q: How are you finding homes for the animals? A: We had been holding adoptions at Pet Fun in Salinas, and we’ve just been approved to do adoption events at PetSmart — that’s a really great forum for our animals. We also continue to home through our Facebook page. We’re also going to be taking animals to the farmers’ market, which starts at the end of next month and is every Thursday in downtown Soledad. Q: How will the prison dog training program work? A: We’ll be working with specific dog trainers who have already worked in prison, and we’re really, really excited about doing this. The Salinas Valley program will have inmates training therapy dogs for veterans who have PTSD, and in the Soledad program, they’ll be training dogs for regular adoption. This will be huge for us and for the prison and its inmates. It will be phenomenal for their guys. They’ll have the dogs in their care 24/7; they’ll get to take them out in the yard. Q: What’s your procedure when you hear about stray or abandoned animals? A: We’ll go pick up anywhere, and then we figure out the jurisdiction later. It’s all about the animal for us. First we do a 30-day hold to see if family is coming to claim them, and take care of any medical issues that need to be addressed, spaying and neutering, and shots. It’s a real process — dogs generally stay with us three to five months, since we’re pretty strict about homing our animals. There’s an extensive application. We are absolutely no-kill, unless for medical reasons an animal has to be euthanized. That’s the only time we’ll consider it. But sometimes you think it’s necessary and it may not be. I have a disabled chihuahua that was a rescue, and she is paralyzed in the back legs and couldn’t get around very well. But the vet said she’s not in pain, she has quality of life, still firing on all cylinders. That’s what we’re all about, that every animal deserves a chance. Q: How many animals do you have right now? Personally, and this is what happens when you rescue, I have eight dogs of my own, rescues that couldn’t be rehabilitated. Right now I also have one foster dog, three foster cats, about 15 other cats, three llamas rescued from a Las Vegas breeding farm — they’re the guardians of the fence line — rescue goats, a rescue horse from Mexico, three tortoises and three birds. I’m certifiable pretty much. Most of us (in SCAR) have more animals than we should. Q: Tell me about your veterinary partner in all this. A: Los Coches (Animal Hospital in Soledad), they’re amazing. They’ve been for us since the very beginning and we have a wonderful relationship. They work with us, they’re a phenomenal group of local people and extremely good vets. They love us and we love them. Q: What other components are you working on? A: We want to educate people on how to take care of their animals — so many people get a puppy or a kitten and then have no clue what to do with it when it grows up, and the dog chews on things or makes a mess. We have plans for education seminars and this could really slow down the failure rate. There are also a lot of people who are used to opening up the door and letting their dogs go out and about, and don’t believe in spaying and neutering. And we want to change that.